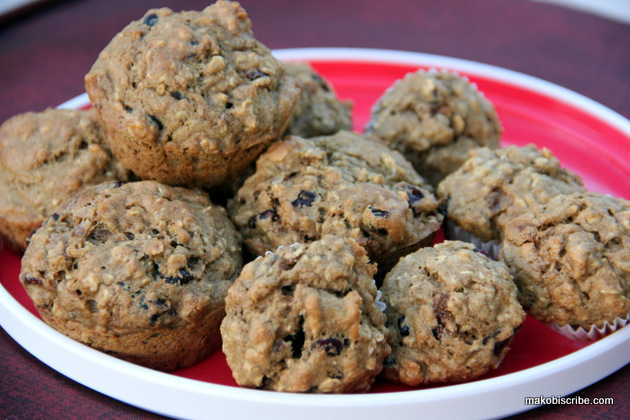 This yummy Breakfast Energy Muffins Recipe is modeled after the delicious breakfast energy bars I can purchase at my local baker. It goes great with coffee and its wholesome ingredients are sure to keep your belly full until lunch. This recipe is chock full of yummy goodness to give you a boost of energy to start your day. Yummy! Great ingredients to make up a flavor packed muffin! I’m really thrilled to be seeing flax in so many recipes lately. I use it in everything! I like the cranberry and pumpkin seeds added! I haven’t done a lot of baking with whole wheat flour but would love to start making the substitution soon! I can use this to start my day. Thank you for the recipe! These are so quick and easy. My kids would love them. They look delicious!